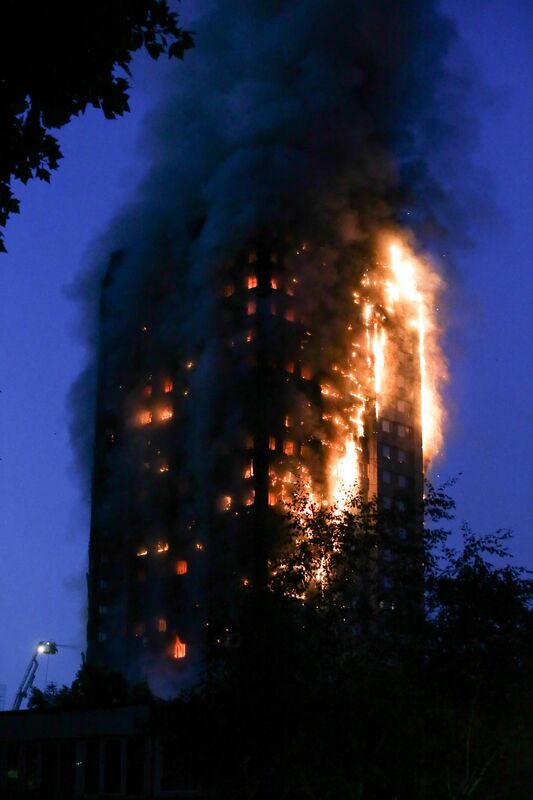 On Wednesday morning we all awoke to the scenes of unspeakable tragedy, a tower block full of people engulfed in raging fire. 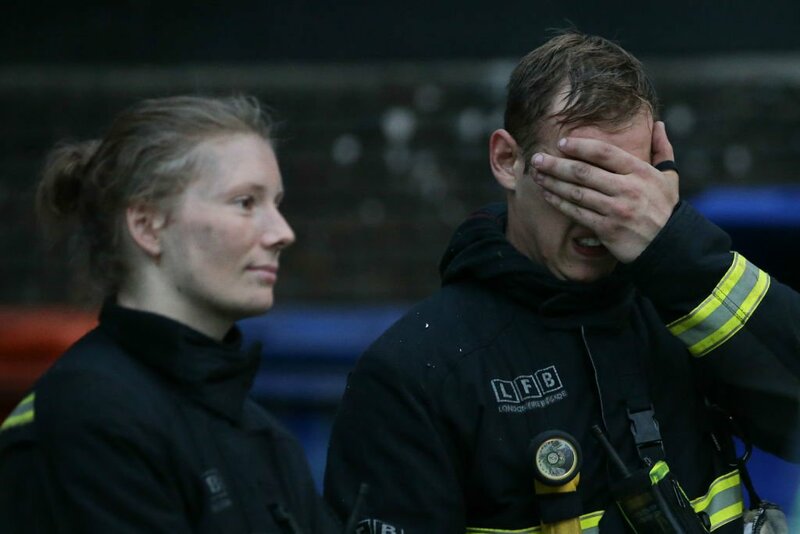 In under six minutes, the first fire engines arrived on the scene at Grenfell Tower in west London and those brave men and women are still on the scene four days after in an attempt to find out what actually happened. At least 58 people are believed to have died in the blaze, with the BBC expecting the death toll to rise to about 70 people in total. 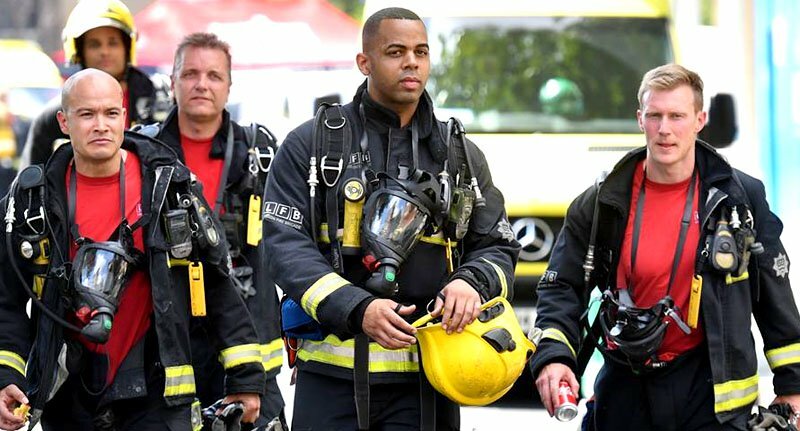 The horrendous scenes they must have encountered are almost unimaginable, but one of those firefighters has recounted what he and his colleagues faced on that fateful night. Jon Wharnsby was one of the rescuers, who not once, but twice fought his way inside the burning building, the Daily Mail reports. He recalled the horrific life and death decision he made between a mother and daughter on the 10th floor or pushing up to a 14th floor flat where residents were also facing impending death. Alongside his crewmate they came to the conclusion that the people in front of them could be saved, but the people four floors up would face a less likely fate. “I hope they are OK. I’d like to know some time. We then had a quick check of our air and decided to try again for the 14th floor,” Jon explained. But by then the smoke was getting thicker and it was becoming more tricky to negotiate the slowly crumbling building. It was probably foolhardy. This time we only made it to the eighth floor before finding another mother with a little girl in her pyjamas. It was a terrible dilemma. You are tasked to go to Flat 113 where you know people need your help. But these people also needed us. We took them down and at that point were ordered to leave the building. The fire and smoke had become just too bad. He explained that he’s still haunted by those they were unable to save on the 14th floor and that those numbers are still locked into his brain. “We ran into an apocalypse like every firefighter that night. We were tasked to reach Flat 113 on the 14th floor. We all wanted to make a difference. But I never got to the people in that flat. Now those numbers are locked in my head,” Jon added. That isn’t the only tragedy he remembers, with the hours rolling by and the tower effectively destroyed- some desperate families still kept faith. Something that broke Jon. A woman came up to me, weeping uncontrollably. She shouted at me that her son was still up on the 18th floor. She was begging us to rescue him and asking when it would happen. I said we’d be with him as soon as possible. I was trying to reassure her by lying. Because, by then, as soon as possible would be too late.Where you had seen a torch signalling, or a blanket or flag waving to attract our attention, one by one they slowly disappeared. Our hearts go out to not only the victims and their families, but the incredible emergency service personnel who put their lives on the line and worked tirelessly around the clock during this disaster.